Carnelian is a type of Chalcedony which is a mineral in the Quartz family. It ranges in color from a pale orange to a deep red-orange, and sometimes has multiple streaks and spots of dark red. Its known locations are Brazil, India, and Uruguay. 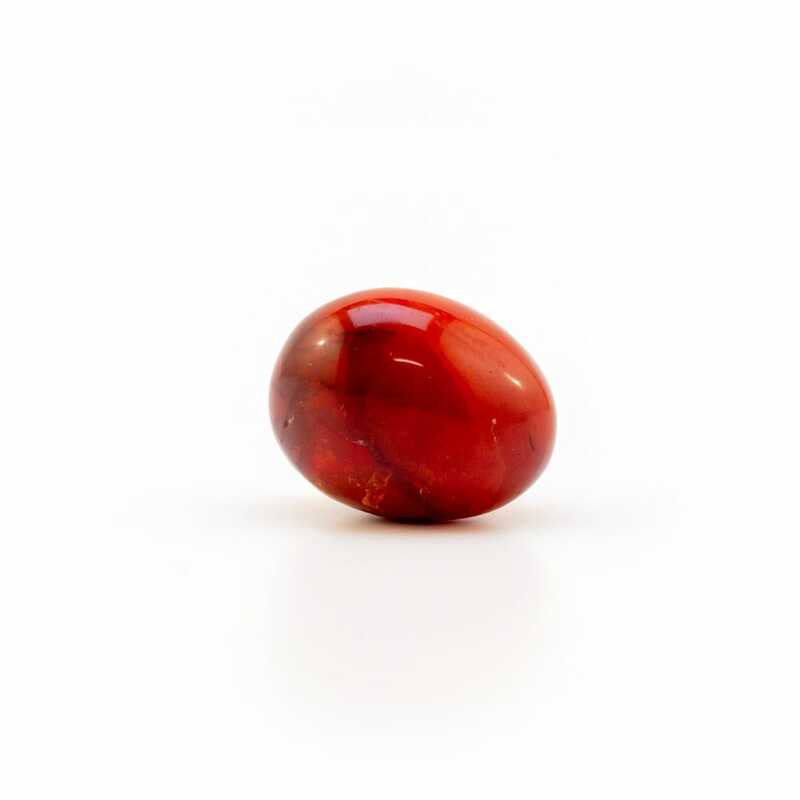 Carnelian gives off a bold, warm energy that stimulates the first three chakras. Its vibrations draw in massive amounts of life force, sexual and creative energies, and assertive will. It aids in building confidence, courage, passion and power, making it a great stone for those who are shy or passive in life. It is a very powerful stone that can be of great assistance when one needs to take action, aiding one in conquering procrastination, as well as jumping from old ways and dedicating themselves to a new path. This stone is extremely helpful for those who purely wish for good things but have difficulty making them happen, and for those who tend to focus primarily on spiritual work (working primarily with the 4th-7th chakras) and neglect the the physical aspects of life (that deal with the 1st-3rd chakras). Misbalance of this sort can lead to ineffectiveness in one’s endeavors and loss of power over one’s life. Carnelian also encourages one to stop waiting for their dreams to come true and to make them happen through channels of Divine Will. This special stone helps one to take more risks that often come with taking strong, assertive action. 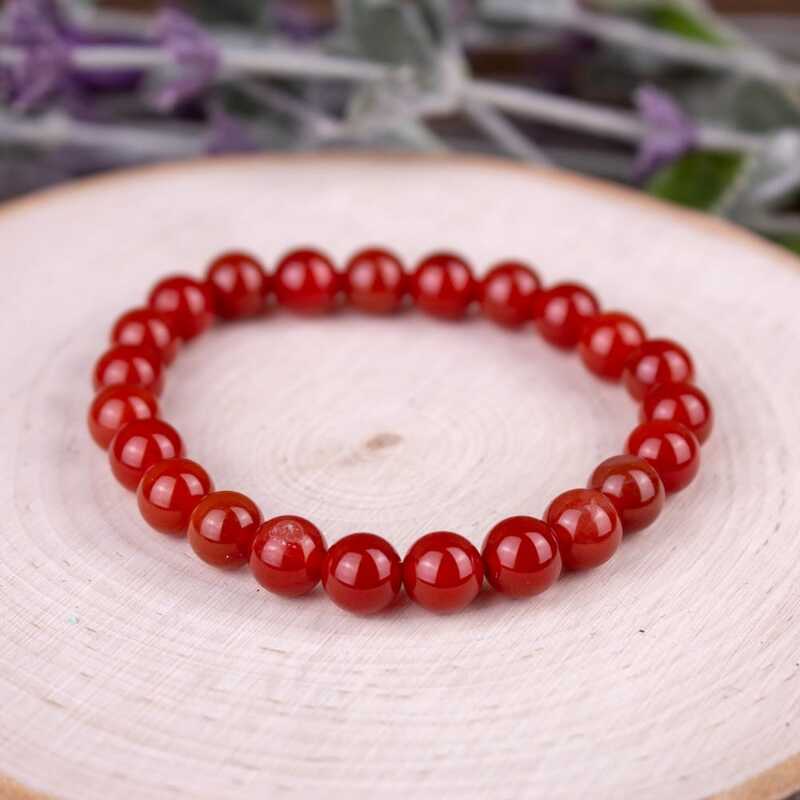 Carnelian is extremely helpful to those who have trouble with public speaking and singing, aiding one in becoming more bold with their voice. It is recommended to carry or wear this stone when one needs a boost of vitality and to increase one’s zest for life. This mineral can also be a great aid in carrying out physical activity of any kind. A special attribute that Carnelian offers is the assistance of detoxing from drugs and alcohol. 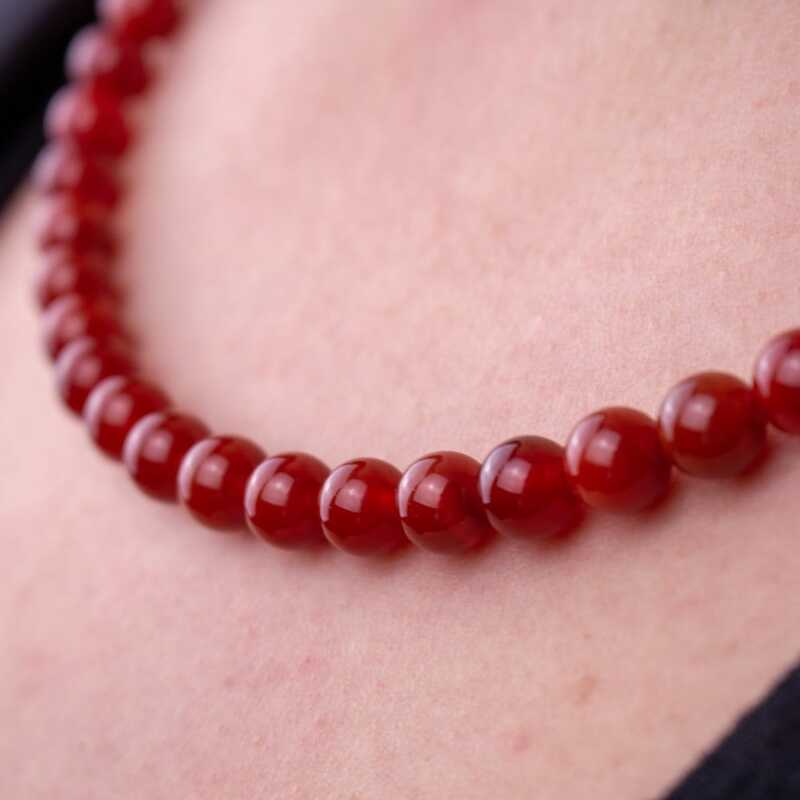 Physically, Carnelian strengthens and fortifies the body and immensely increases the flow of life force energy. It reminds one that the physical body is the temple where our spirit currently resides, and aids one in focusing on maintaining a healthy physical state. This stone is excellent for healing and balancing the ovaries and testes while providing a boost to one’s sexuality. 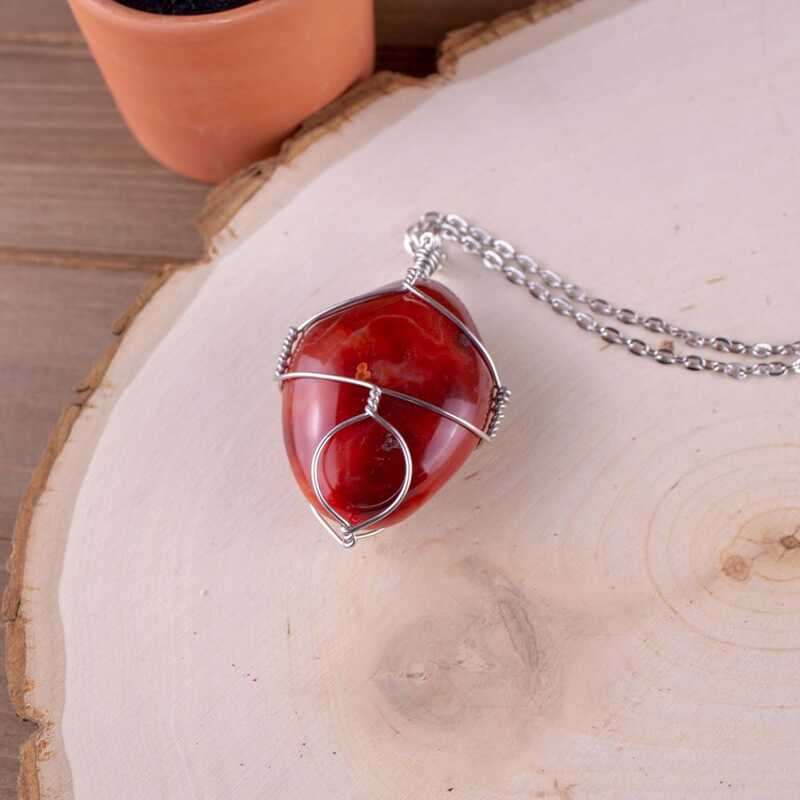 Carnelian is also a powerful tool in healing from injury and sickness, while supporting overall good health.